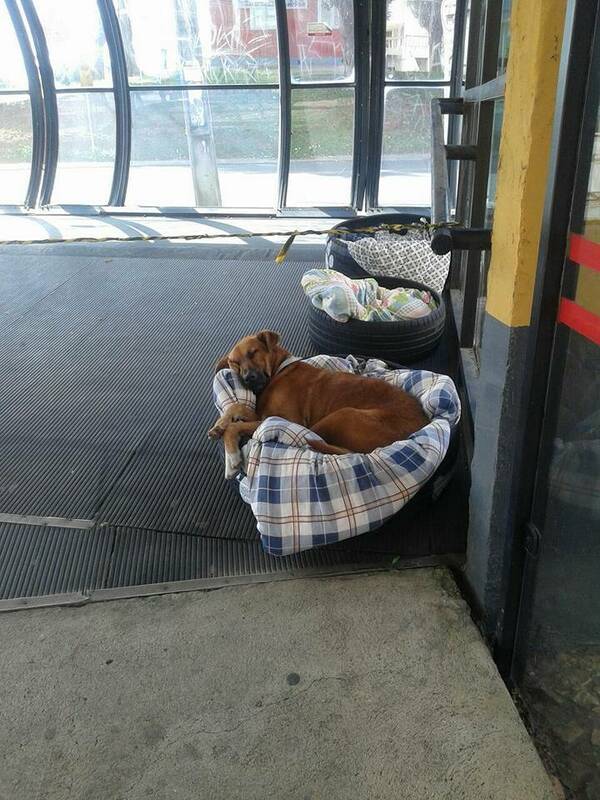 A Brazilian bus terminal is using some old equipment to make a new home for three stray dogs who were left out in the cold. 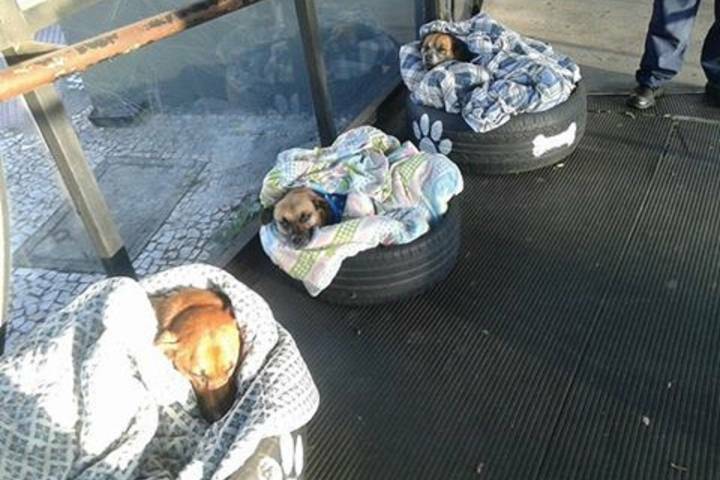 As winter approaches in Brazil, employees at the bus depot in Curbitiba took matters into their own hands to keep the canines warm. 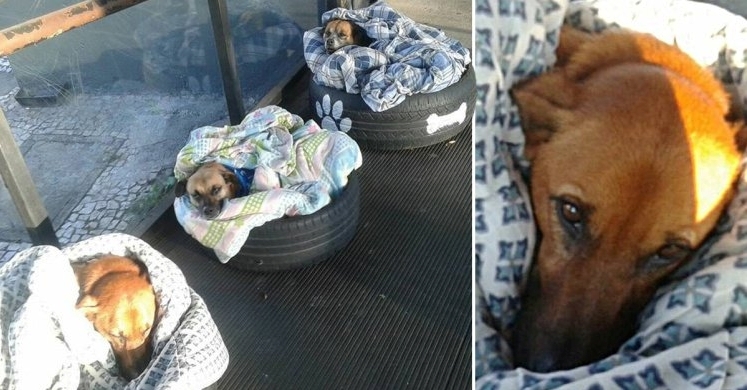 The dogs can be seen sleeping in old tires and blankets in a Facebook post by local politician Fabiane Rosa. 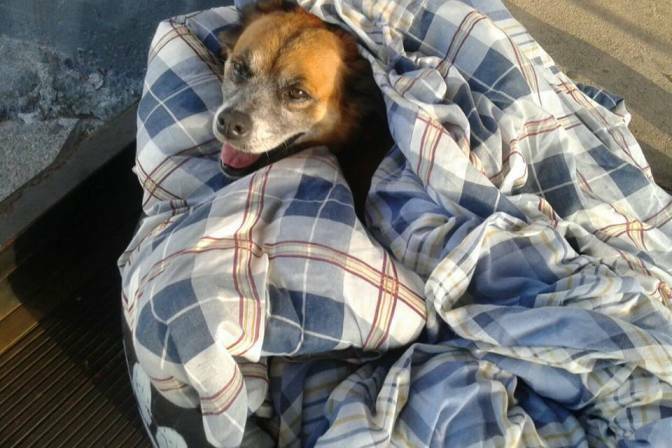 “I never tire of praising the … volunteers who provide these angels, a warm bed in the cold, food every day, fresh water, security,” Rosa wrote on Facebook. 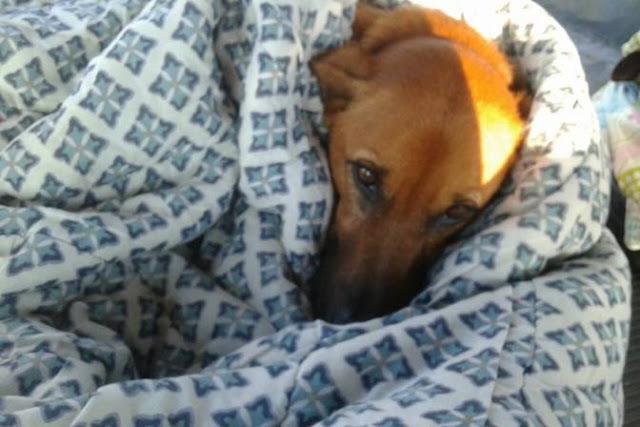 The dogs, Max, Pitoco and Zoinho, look happy as they are swaddled in warmth. Responses to "Brazil bus station workers open doors and hearts to homeless dogs"